Fifty years in the making and looking forward to reinvent “Vintage” Tone, we’re proud to introduce the California Tweed™ Series. Our new Single Channel, “old school” offering aimed at all sounds Americana. Equipped with all the essential features you do need, none of the complexity you don’t and bona fide delicious 6V6 Tone in every viable wattage you could want. Experience an addictive, inspiring feel guaranteed to keep your hands on the strings, your ears wide open and your eye on the prize. 50 YEARS OF CRAFTSMANSHIP CULMINATES IN AN EXCITING NEW REALM OF BEAUTIFULLY SIMPLISTIC, TWEED BASED PERFORMANCE. A quick glance at the front panel of the California Tweed reveals single channel simplicity. Channel features include Normal & Low (Low is padded for more headroom) Inputs, Gain, Treble, Mid, Bass, Presence, Reverb & Master Controls. Our legendary vintage all-tube, long-tank, spring reverb with external reverb switching jack (Reverb Footswitch & Cable Sold Separately) and a fully buffered, tube-driven series FX loop round out a feature set that delivers everything you need for golden tone, and absolutely nothing more. The new California Tweed™… harken back, bounce on forward, …while never sacrificing one drop of golden California Tone. For complete detailed technical specifications and a comparison of California Tweed formats, please visit the HEAD or COMBO format pages. Designed specifically to complement the California Tweed, we’re proud to introduce the California Tweed cabinet series. The vintage-tuned enclosures are perfectly suited for the Califoirnia Tweed tone. Made in Petaluma, California, our vintage open back designed cabinets are constructed from Marine Grade, Baltic Birch and feature an all new, rear-mounted speaker/s. After testing numerous options, searching for a speaker capable of delivering the magical vintage tone we were after for the California Tweed, we chose the all-new Jensen BLACKBIRD ALNICO. The resulting combination delivers a tonal character that is absolutely perfect for this vintage-voiced amplifier! The new 1X12 CALIFORNIA TWEED 23 CABINET and 2x12 CALIFORNIA TWEED CABINET have been designed specifically to complement the new Head and Combo formats. Their open-back design is vintage-inspired focusing on size, tone & portability. 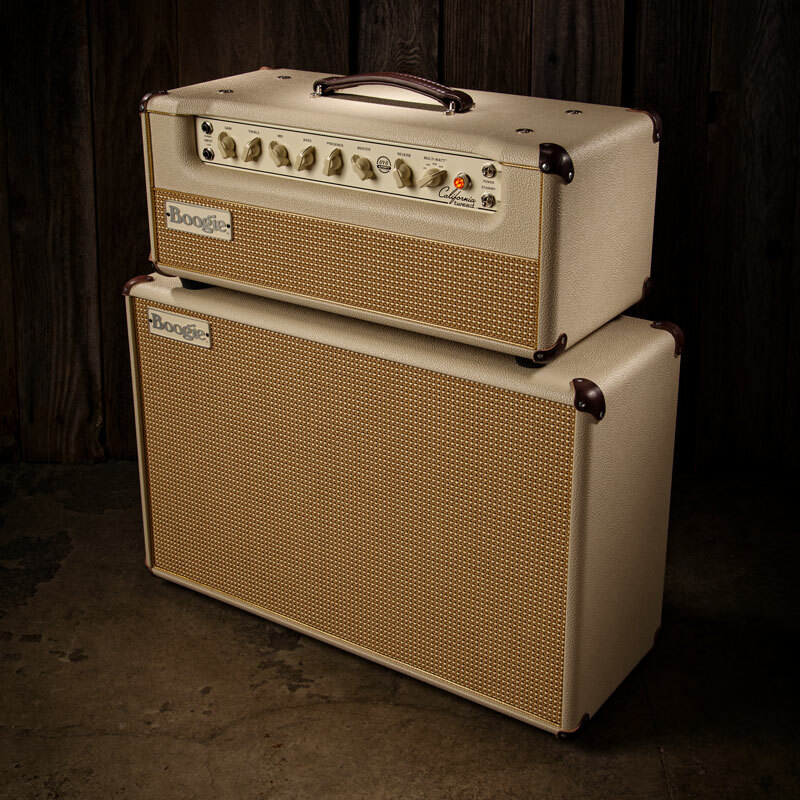 Experience the California Tweed Series of amplifiers and cabinets at your MESA dealer today.